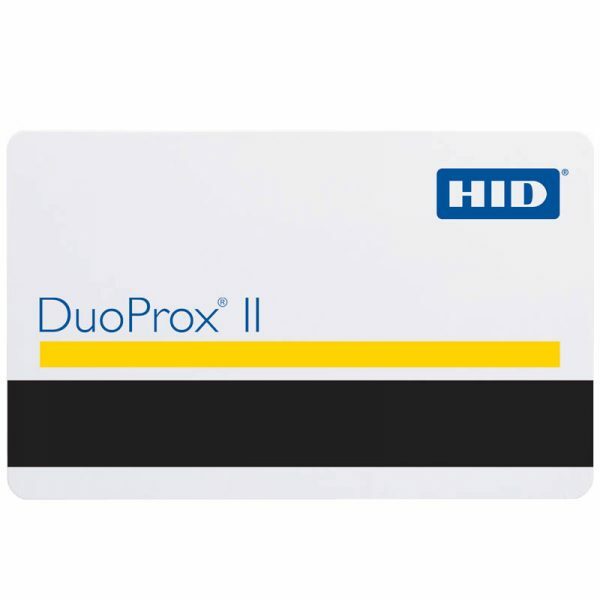 Multiple technology proximity card offers proximity, magnetic stripe and photo identification technologies on a single access control proximity card. DuoProx II proximity card with magnetic stripe is ISO 7810 compliant, with a nominal thickness of .030″. It features a graphics quality surface optimized for Photo ID printing.